“House/Home Church” is a label used to describe a group of Christians who regularly gather for worship in private homes. The gathering may be part of a larger Christian group or already established church, but some are independent groups that see the house church as the primary (and likely, the only) form of Christian fellowship. Other house churches meet because the membership is small, and a home is the most appropriate place to assemble, or because the group is part of an underground Christian movement where meeting together is banned. This is often the case in China, Vietnam, India, North Korea and many other “closed” countries where Christian activity is either banned altogether or rigorously restricted. “We normally shut the windows during our meetings,” said a lay leader who uses the house church to hold community-based discipleship classes with Muslim background believers. “But there are mosques nearby and the Muslim leaders must have noticed believers coming in from other communities.” Muslim background believers often lack the opportunity and place to be properly discipled as they cannot afford to be seen getting into established churches where they risk being charged with apostasy, a crime punishable by death. Nevertheless, boldness and a willingness to suffer rejection or worse, have characterized many Muslim background believers and others who turn from religions like Buddhism or Hinduism. The success of the underground house church, particularly in China, where there were a million believers in the 1980s and now well over 67million, has seen many Christian leaders calling for implementation of the house church model even in places where Christianity is not restricted. According to proponents, a person can attend a traditional church for long periods and not know the names of those sitting next to them. They argue that many churches fail to meet the most fundamental needs of believers, namely, fellowship and covenant relationships, and consequently feel frustrated and left out. Proponents therefore argue thatthe house group is a better method to build the body of Christ. To meet this need, many house church gatherings are informal and frequently include a shared meal. 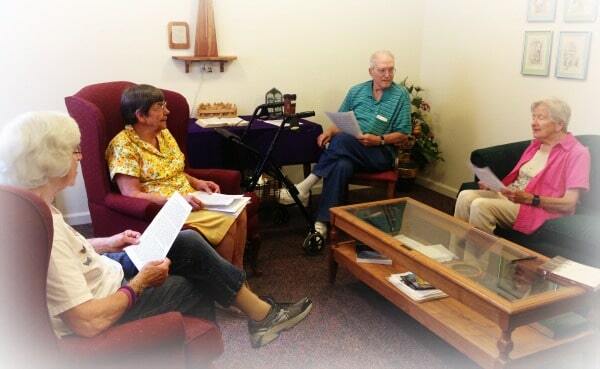 Meeting formats vary from week to week and church services are frequently conducted in a participatory style where there might be several short teachings offered by multiple attendees. Many mission agencies now encourage the use of house churches as a church planting model both in “closed” and restricted nations as well as in “free” countries.